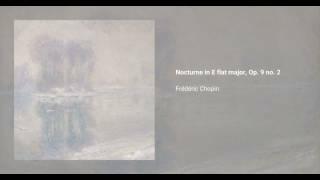 Frédéric Chopin wrote his Nocturnes, Op. 9, from 1830 to 1832, the year when they were published. They are dedicated to Madame Camille Pleyel, and since their first edition they have become obligatory repertoire items for pianists. 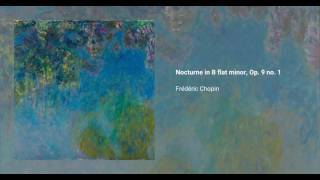 The Nocturne no. 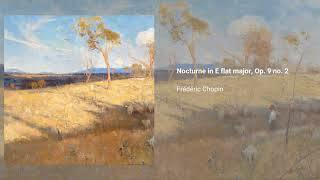 1 in B flat minor, marked larghetto, features a rhythmically free right-hand melody, something that would be characteristic of Chopin's later style. 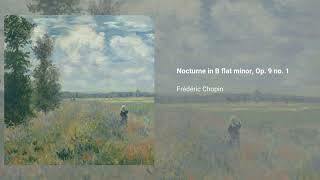 The Nocturne no. 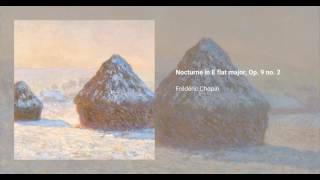 2, in E flat major, features a reflective and peaceful melody that recurs a number of times, becoming more ornamented with each iteration. 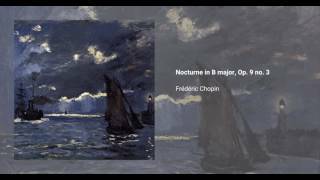 Since its publication it has become one of Chopin's most popular pieces, if not the most popular. 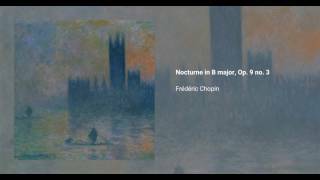 Its usually recognized as a staple work in the piano repertoire of western classical music.